The iconic west facade of the Alamo is slowly wearing down, according to a study conducted by the Center for Heritage Conservation at Texas A&M University. The Shrine to Texas liberty located in downtown San Antonio is suffering a loss of 5 to 7 centimeters, or approximately 2 – 2.7 inches, of its limestone surface since 1960. That erosion has been detected at the base of a decorative column flanking the Alamo’s main entrance. The concern is that the rate of decay could increase and add up to a significant amount over time. Robert Warden is the director of the Center for Heritage Conservation (CHC) at Texas A&M University. To determine the extent of the column base’s material loss, Warden created two virtual 3-D models of the west facade’s entrance — one, from a 1960 Historic American Buildings Survey, and another with current data gathered by the CHC’s digital laser scanning and recording equipment. SAN ANTONIO — Ten years have passed since Rick Range found a small, bronze Spanish cannon that may have been fired at the Alamo, tucked away in a building in rural North Texas. “And I was amazed. It was in a dark storage-type workroom, way out in the country,” said Range, a Dallas-area Alamo researcher. Last night the Alamo Plaza Advisory Commission met to discuss the future of the most famous building in San Antonio, which included how to improve the experience of a huge tourist draw while improving historical aspects of the grounds. One could say the project is 178 years in the making. 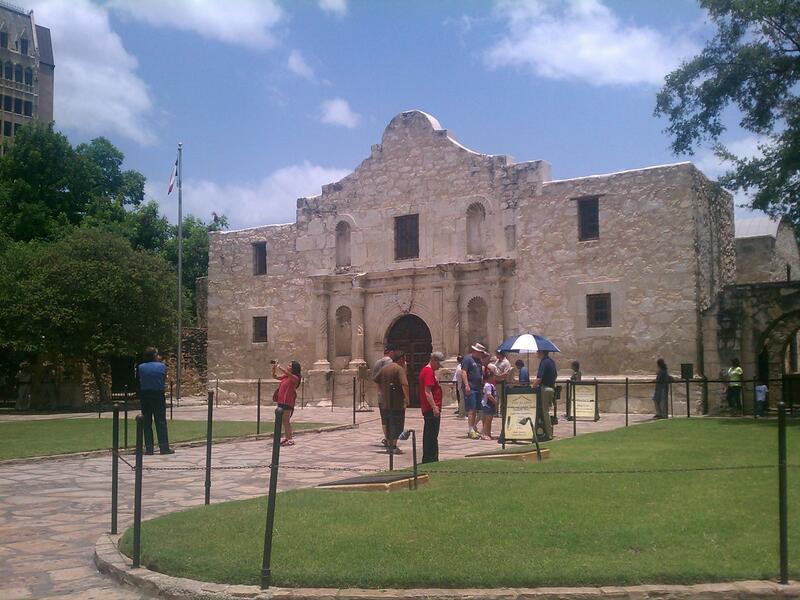 Remember "The Alamo?" Fifty years ago, actor John Wayne and crew set up shop outside of Bracketville, Texas, to film an ambitious re-telling of the epic story of the Battle for Texas Independence. "The Alamo" was nominated for seven Oscars, including Best Picture. It won one award for its impressive sound design. Although there have been subsequent films of the Alamo story, many people still hold John Wayne’s version close to their hearts. Received poorly by audiences this spring, "The Alamo" does not deserve to be remembered as a box-office dud. This film is a fuller, richer, and more historically accurate version than has ever been put on screen before, and it looks great. But it does not star Russell Crowe, nor did Ron Howard direct it.